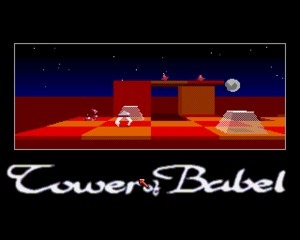 Tower of Babel is a 3D puzzle game created by Pete Cooke initially in 1989 for Atari ST and ported to Amiga and Acorn 32-bit in 1990. 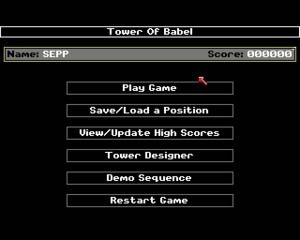 Tower of Babel is a 3D puzzle game created by Pete Cooke initially in 1989 for Atari ST and ported to Amiga and Acorn 32-bit in 1990. 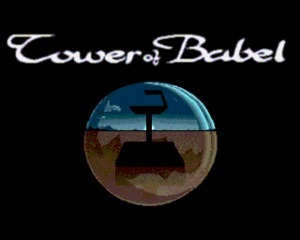 The game was published by Rainbird Software. There are different levels (towers), each one with a different goal. Your robots have different abilities: push objects, destroy or collect/operate devices. To solve the puzzles you will have to use them in the right way. 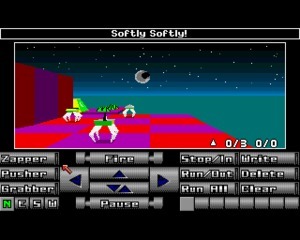 Robots can also be programmed, which adds a lot of depth to the gameplay. 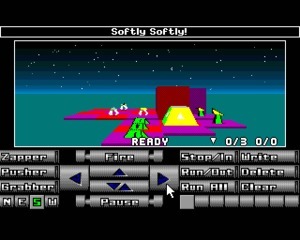 The game uses 3D vector graphics with filled polygons. 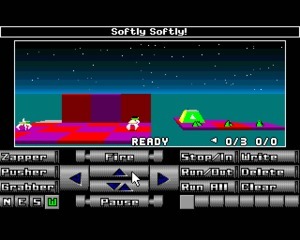 Pete Cooke was a famous programmer of the ZX Spectrum scene, and the quality of the code is visible in the game. 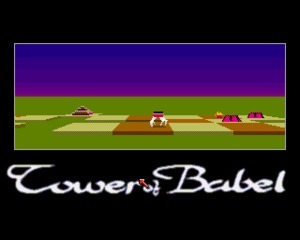 Despite the Amiga/ST were not machines built for 3D games, Tower of Babel is fast and smooth. If all of this was not enough, the game includes a map editor that you can use to create your own level. No surprise that the game received very positive reviews and that it was remade for iPhone and iPad.